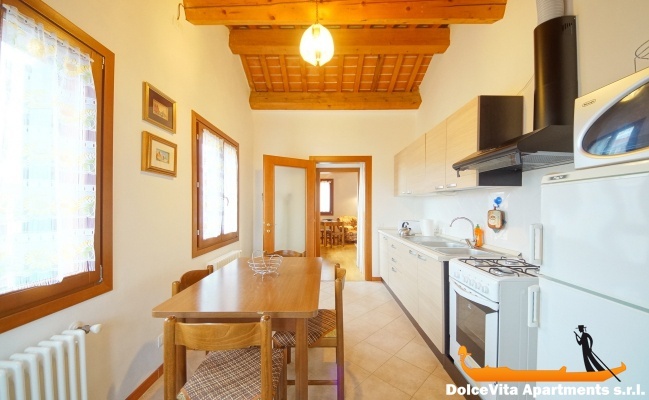 Apartment N. 288: It can accommodate up to 6 people, it is rented from 138 € per Night (not per person). Venice Penthouse Biennale: Cozy attic on the third floor of a building in the historical center of the town, in Castello district, less than 10 minutes walking from Biennial of Venice, it is composed of kitchen, living room, one double bedroom, two terraces and two bathrooms (one with shower and one with bathtub). 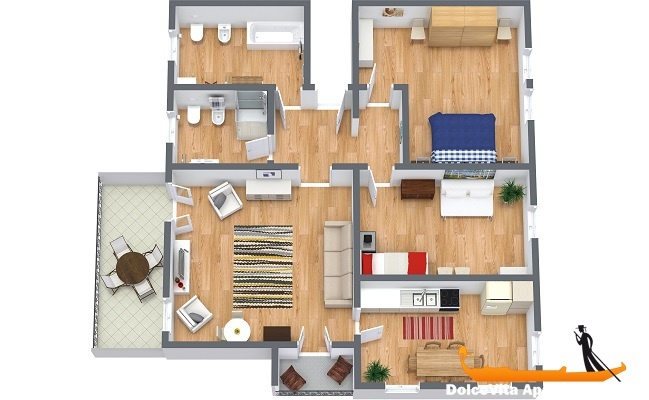 This apartment can accommodate up to 6 people overall, there are in fact 1 double bedroom, a bedroom with 2 single beds and a double sofabed in the living. 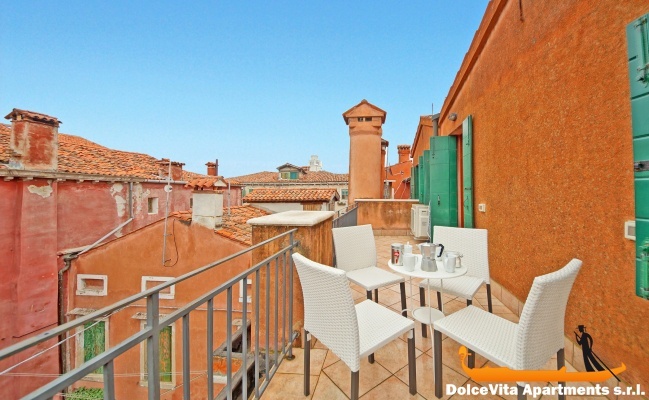 From the living room you can get to a wide terrace from where you can enjoy an amazing view on Venice’s roofs. The kitchen is fully equipped, including oven, microwave oven, refrigerator, fridge, toaster and kettle. Among the available services, there are television, washing machine, air conditioner, heating system. Towels, blankets and sheets are included. Its position is absolutely centric. 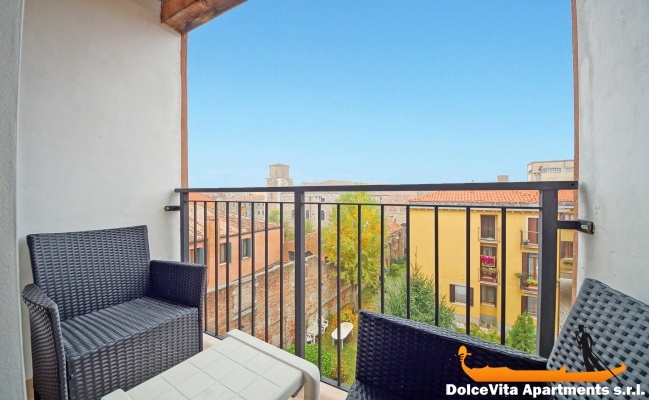 This apartment is only 700 meters far from biennial pavilions (Arsenal) and only 5 minutes walking from the most beautiful “Basilica di San Pietro di Castello). Spacious, bright, in a great location for what interests to my friends and me (film festival). The apartment is very clean and very well equipped. The welcome was perfect. Good morning, apartment rating 5, comfortable (small walk and you're in San Marco, in a quiet location but also close to via Garibaldi with many locals and a convenient supermarket. Spacious, clean and well equipped. Opinion about your efficient and detailed service, with fast responses and clear guidance about the apartment and the service in general. 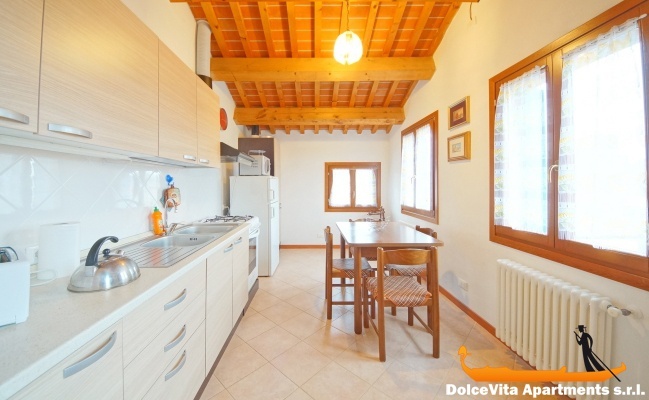 The apartment is great: recently renovated, spacious, very bright but above all very well located between the city center and the gardens of the Biennale. In short, after a long journey, when you arrive you feel immediately at ease! The apartment on the top floor is very bright and it has two terraces that we used during our sunny stay. It seems to have been recently remodeled, it is extensive and is very clean. However we regretted the look of the furnishings which seemed old-fashioned. 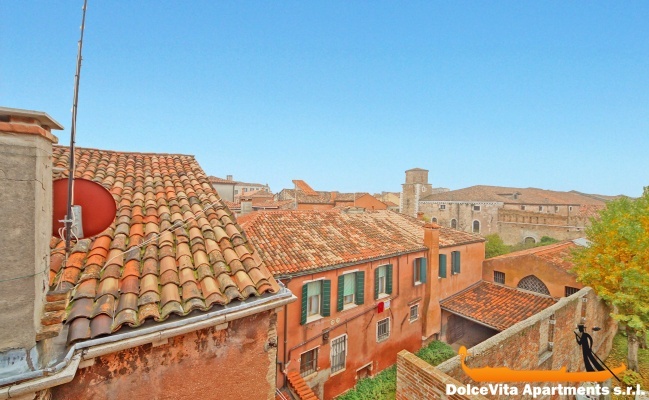 But to conclude, we were very satisfied with our stay in this apartment and during an eventual new stay in Venice we will ask you about its availability and on the other hand will recommend it to friends. 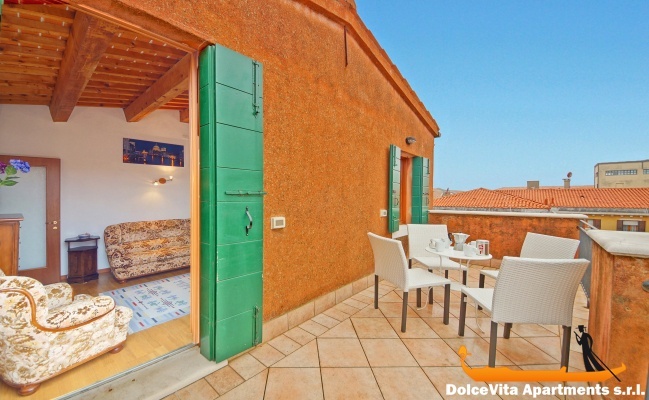 The services of 'rent-apartment-venice' were perfect: Reservation simple, clear and fast. 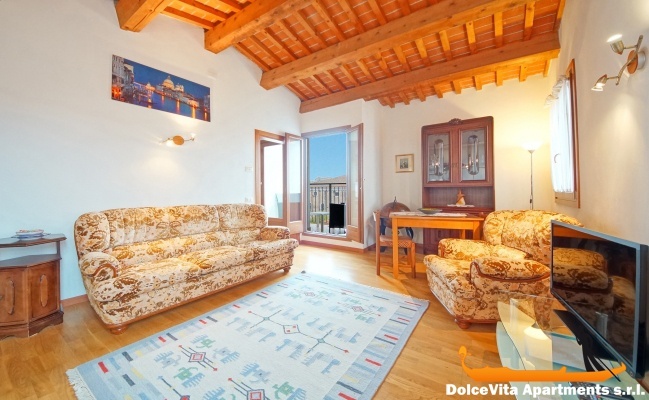 Friendly reception in Giardini by Michela, visit and provision of the apartment without problem. The apartment is comfortable and well heated, with everything. A few steps from the main tourist attractions. Mrs. Michela gave us all the information necessary to spend a nice weekend in Venice. Recommended! Nice apartment, near to the shops and the boat, well equipped and very clean. Great experience. Apartment very clean and quiet. Comfort level nothing to say everything is perfect. We were met without problems in Giardini vaporetto by Michela very helpful and available who accompanied us to the apartment and gave us all explanations and recommendations for a good stay. 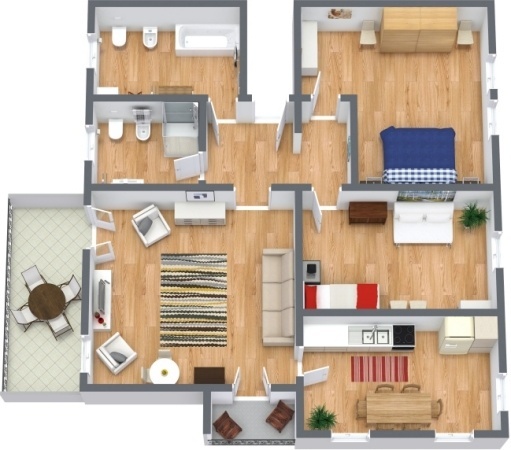 Large apartment, quiet with beautiful terrace, very clean.